I was seated on a temple floor in Itnal, a small village in the district of Belgaum, Karnataka. Sanvakka, a 28-year-old woman was sitting in front of me. She and her husband are coolies by profession and also work in farms. She has an animal husbandry business as well. She has two school-going daughters to take care of. She took a loan from MASS to expand her business. She said, “With the loan amount and my savings, I managed to purchase a buffalo. It gives me 4 litres of milk every day and I sell it for Rs. 40 a litre in the market. I also sell buttermilk, cheese, etc in the market. 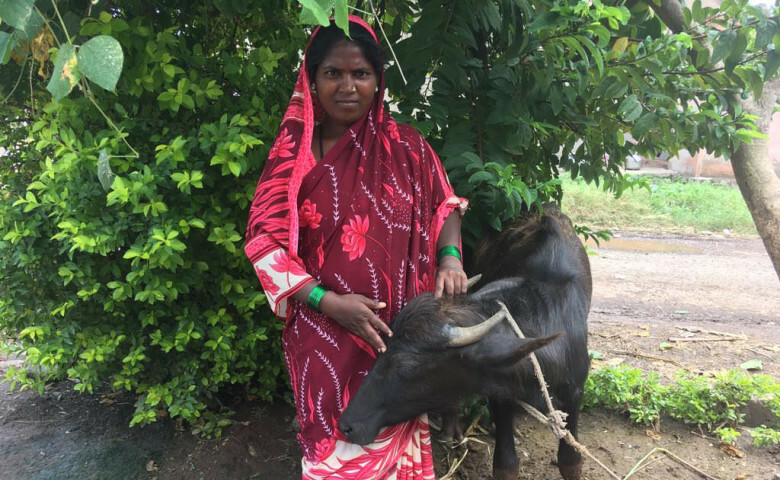 The manure of the buffalo is sold to farms as well.” She also has a passion for cooking and loves trying to cook different dishes for her family every day. “I cook everything from A to Z and my family loves me for that”, she laughed.